Please check out all the latest range of LED products at 3D Electrical Supplies. We have products from Ansell , Hispec , Omega and Luxlite to name just a few. 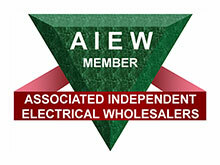 Speak to one of our helpful staff for any advice on all your Electrical needs . We would like to congratulate St Helens rugby star Adam Swift for winning Young Player Of The Year. We are currently sponsoring Adam and we were there to see him pick up his award at the end of year presentation. Keep up the good work Adam !! We have got a representative from TOOLBANK on site, all day Friday 29th August . He will have some samples with him, as well as all current offers on tools / work wear . Call in for a coffee and bacon butty to pick up a bargain !!! As a part of our ongoing commitment to our customers, we have invested in a new cable cutting machine. As a result we have now started stocking SWA and SY cable. Please give us a try for any armoured cables you require. We have now got a crimp tool for hire. It will crimp from 10mm – 120mm. For further info please contact us at the branch. Due to popular demand , we are now stocking MK Grid Plus. This is another brand to add to our ever expanding product line ! !